Fact: Workplaces that embrace diversity and inclusion hit higher numbers, create more innovation, attract better talent and show increased employee performance. But how do you improve your own social consciousness? Here is your how. 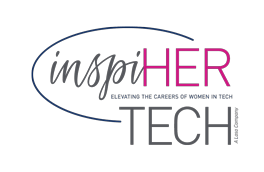 InspiHER Tech offers programs that support companies in their pursuit of Inclusivity. Through training, workshops and seminars, Founder Laurie Swanson sets the foundation and coaches your team through developing and strengthening this critical arm. Together we will seek to identify unconscious biases against women that mitigate diversity so we constantly work toward becoming a 21st century, talent-driven organization. With men holding 75% of IT jobs, we can’t solve the challenge of inclusion without you. We explore what it means to be allies for both men and women. Learn about the universal tendency toward bias with specific scenarios. Increase opportunities and practice workplace transparency. Small group discussions create solutions to remove bias. Bring your team together to learn about the best practices for writing inclusive IT job descriptions. Find out how we can customize and create a program for your organization.